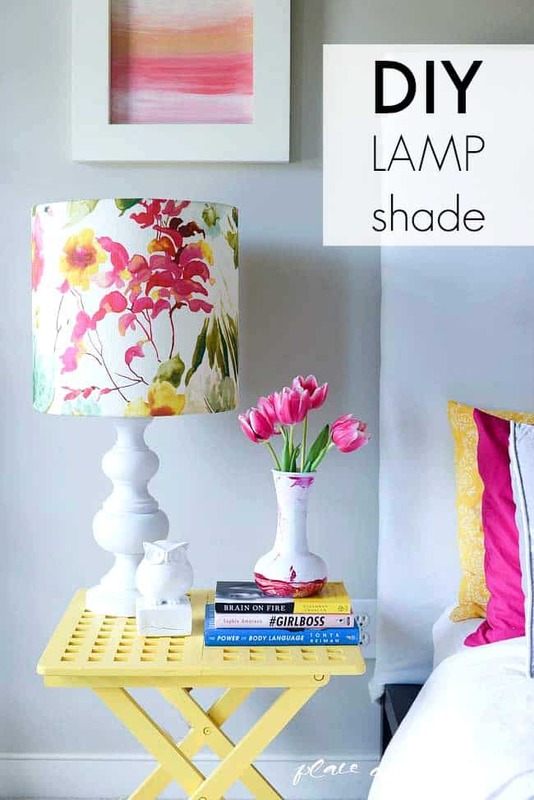 DIY LAMP SHADE- I LIKE THAT LAMP! You guys! Today I am going to show you something brilliant. 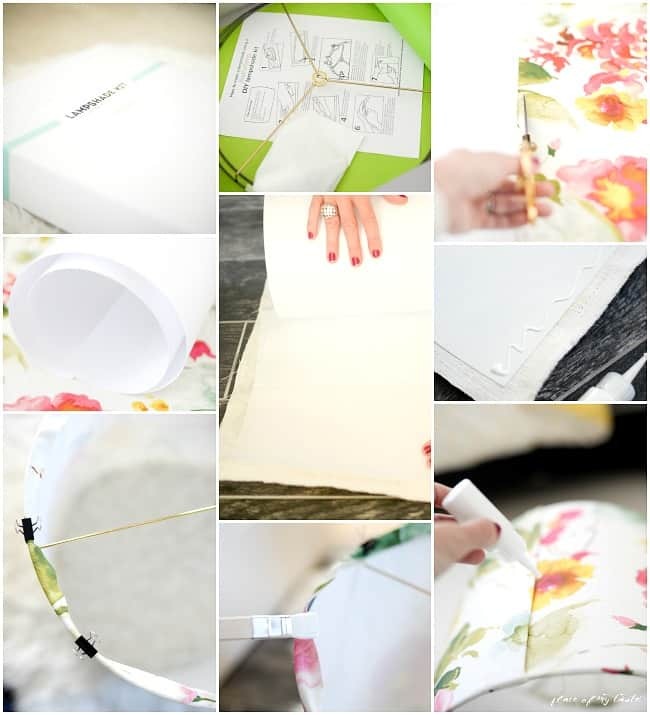 Have you ever dreamed of making your own lampshade?A custom one using your favorite fabric? 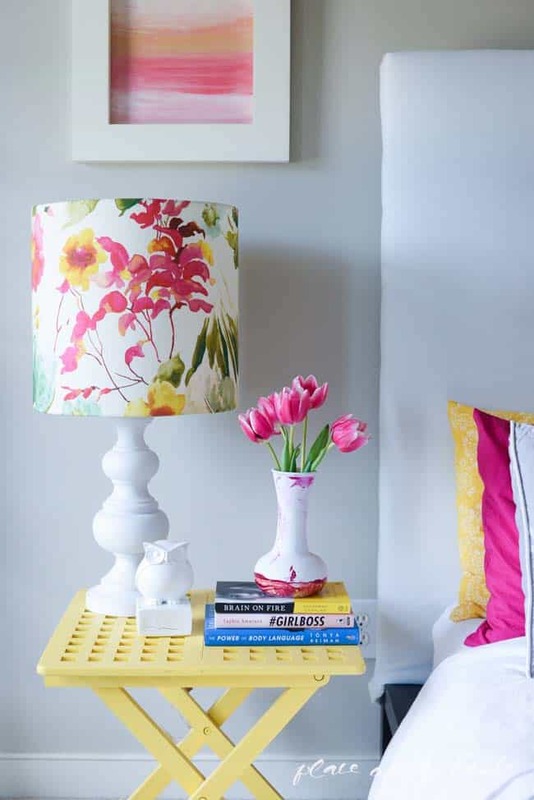 I LIKE that LAMP is all about making your own, stylish lamp shade that fit in to your design style. 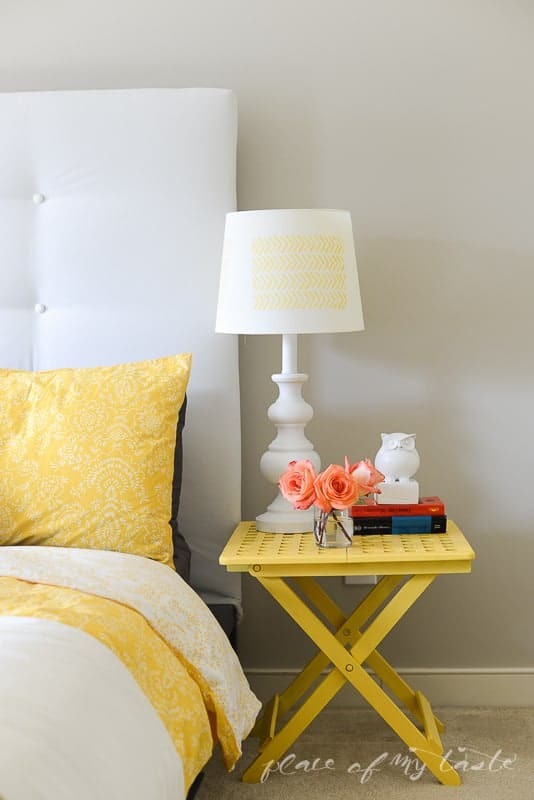 Lamps can dress and change a room instantly. I have so many shades sitting in the attic and I love switching them around in different rooms, but I really never made my own shade until I came across this fantastic kit. As soon as I learned about this awesome kit, I knew that pretty leftover fabric will be gone soon. 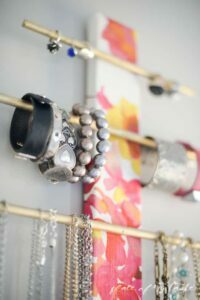 Remember that pretty watercolor flower fabric I used for my earring and jewelry holder? Yep- I still have some. In fact I had exactly enough to create two of these gorgeous drum shades. I found this piece of fabric last year on a clearance table in a fabric store. Just simply looking at it makes me happy every time. The colors the watercolor…not sure what it is but I LOVE everything about it. Last year I shared a tutorial of how I DIY-ed this lamp. 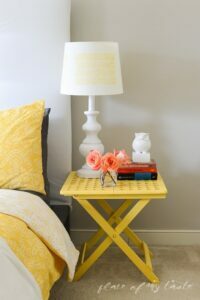 Well, I was in awee when I DIY-ed it but there is no doubt that this shade was a bit small for that lamp base. 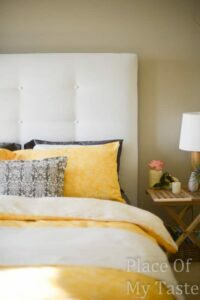 Once I learned about how to measure the lampshade to perfectly fit the lamp base from this guide , I knew that I need to change my tiny shade on my lamps in the bedroom. So back to the kit. The kit contains everything that you need to create your own modern lampshade. 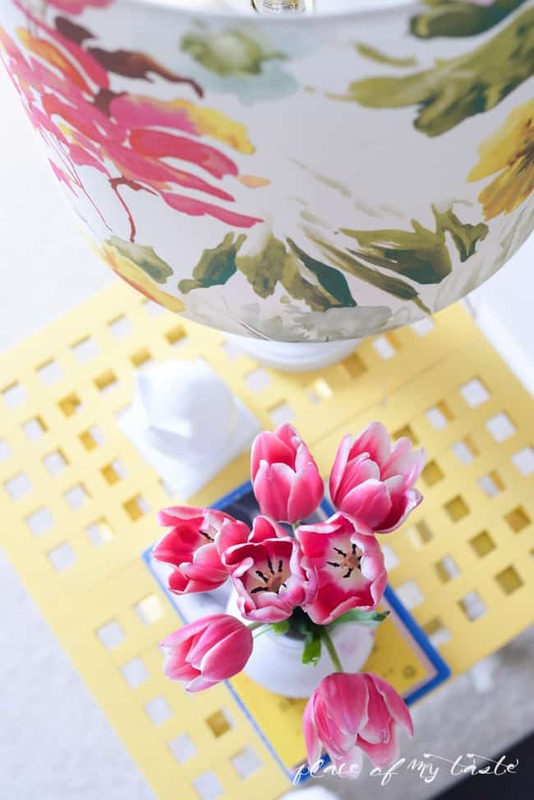 Using your own fabric or paper will allow you to create a shade per your design. The instructions are so simple that anyone can follow. Putting it together was super easy. I needed an extra hand but it was a fast and quick project. I love how the shade turned out and it makes the lamp so unique. Totally makes the room fabulous! 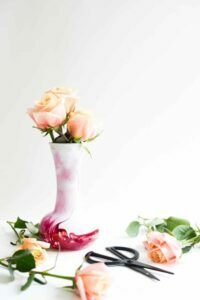 …and those fresh tulips are a must around this time of the year, right? Get your kit today to make your awesome lamp shade! Thanks for I like that lamp for providing me with the kits, all opinions are 100% mine. 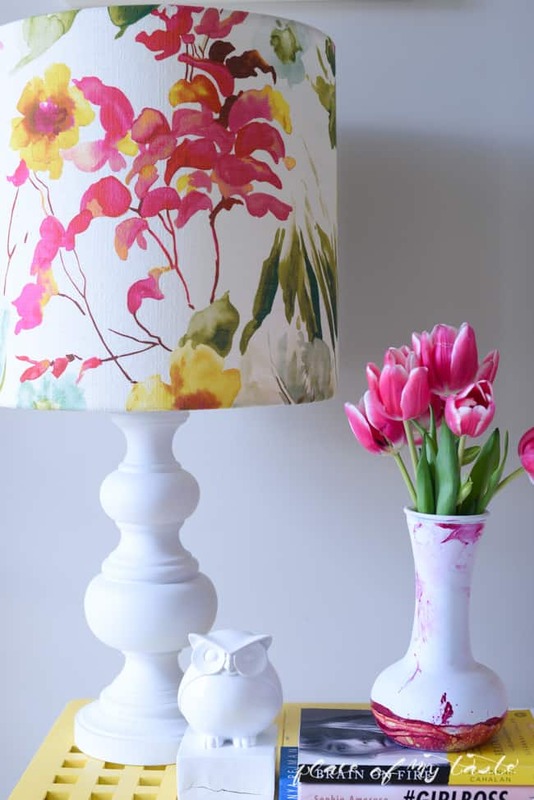 That fabric is gorgeous and your lampshade turned out just lovely! So love that fabric. Your post made it right on time, I am making a lamp for my daughters playroom. Thanks for the inspiration. Gorgeous. That fabric is stunning. Gosh that watercolor is gorgoeus! 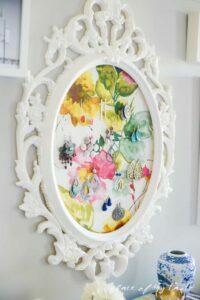 I am obsessed with watercolor & succulents together this spring…can’t wait to bring a little into my own little home. That is Beautiful! Love that lampshade. 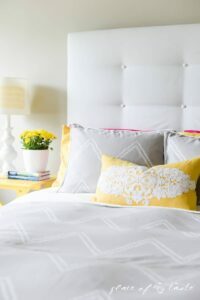 I also love your yellow bedding. Where did you get that? 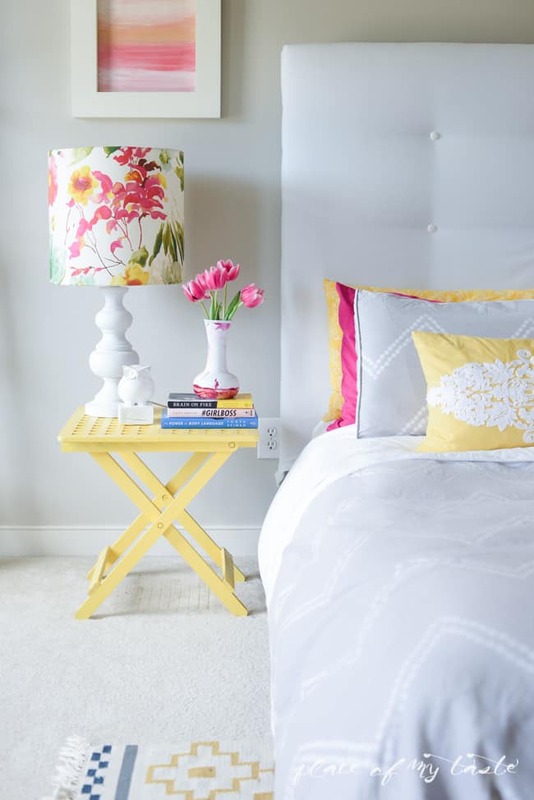 Love the fabric on the lamp shade. I’m in love with the fabric. Such a great and bold choice for a lamp shade. Will definitely be trying this soon! Thanks so much Paola!! 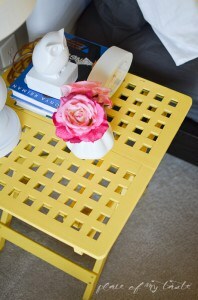 I love bright and bold;)have a great week!! Is the frame for the oval earring holder a picture or a mirror frame?